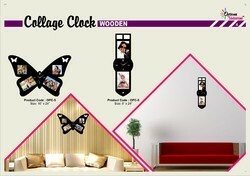 High finish wooden base collage clocks - simple and elegant beautiful look. 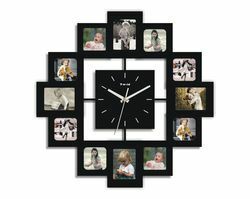 - Size : H 11.5" x W 11.5"
A wooden photo frame with an analogue watch on it for desktops and gifting purpose. Being a fast-moving organization, we are highly instrumental in providing Wall Clock. By using modern technology and state-of-the-art machinery, we manufacture these products. These are available with us in various sizes and designs, for meeting the precise needs of our customers.